The Pochade Box was commissioned by plein air artist and architect Jeff A. Evans. The left hinged section holds three 9”x12” art boards, or provides a place for paints. 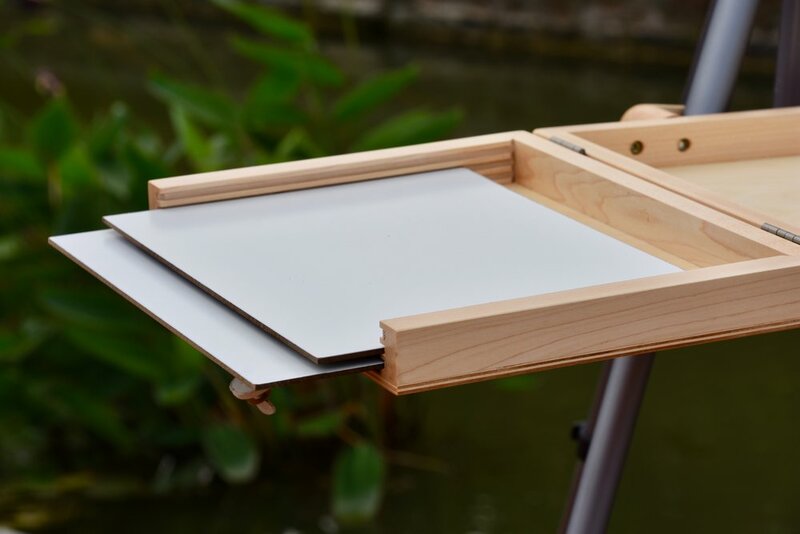 The center open area is 16”x12” and can hold a glass or plexiglass insert for oil paints. The center area can also hold one 12”x16” art board above the glass which is held in place along the edges, so that a painting can be protected while it dries with the box closed. The right hinged section features a hole for a cup and a cluster of 6 smaller holes in a variety of diameters for holding paint brushes. An innovative sliding panel covers the holes when you are ready to travel. The Pochade Box is made from Baltic birch plywood and solid maple. 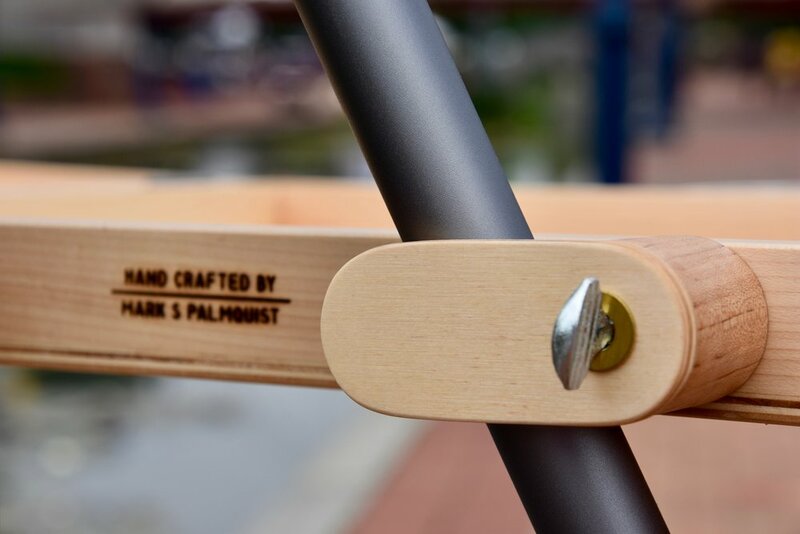 It features strong walnut spline joints and is finished with an oil-based finish.